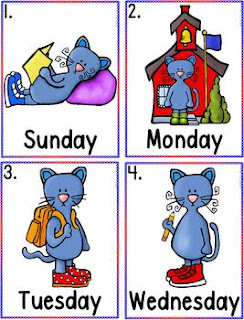 Free write the room or trace the room literacy center featuring the days of the week. For kindergarten, preschool, SPED, child care, homeschool, or any early childhood setting. 1] 7 Picture With Word Cards – Laminate and place around the room.